The Urban Decay 15 Year Anniversary palette is a really special one. I think this is my favorite one so far... Well, aside from the Alice in Wonderland Book Of Shadows, but that's different. The palette comes nestled in a luxurious-looking purple velvet tray. The tray isn't flimsy plastic coated in velvet, it's actually really sturdy and can definitely be used for other purposes once you remove the palette. They really went all-out on the design of this one. It's a black chrome box with ornate designs on the sides and a purple Urban Decay logo gem on the top. Inside the lid is a mirror. The shadows are on their own tray which can be removed so you can can use the pretty chrome case as a jewelry box . It's actually a good shape and size to store a few small items like eyeliners underneath the shadow tray. The shadows: Midnight Rodeo, Midnight 15, Vanilla, Flow, Chase, Tainted, Junkshow, Omen, Evidence, Deep End, Deeper, M.I.A., Ace, Blackout, Half Truth. A couple different angles to show the shimmer and glitter in each of the shadows. You can enlarge them if you'd like. Chase, Flow, Vanilla, Midnight 15, Midnight Rodeo. Tainted, Junkshow, Omen, Evidence, Deep End. Deeper, M.I.A., Ace, Blackout, Half Truth. Overall, really good palette. Not entirely without flaws, but nothing major. Great color selection- warm, cool, neutral, browns, brights, greys. Really good variety. 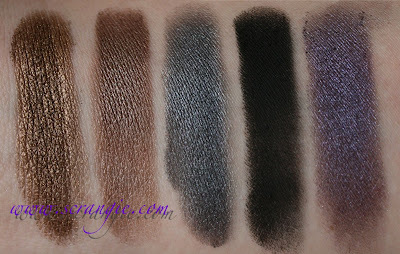 Most shades seem better pigmented and softer then previous palettes. 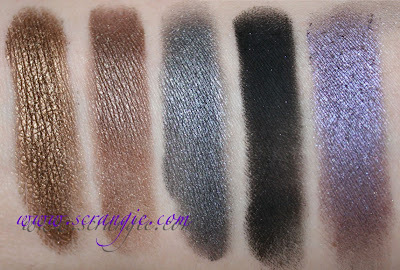 Midnight 15 looks like Verve from the Rollergirl palette (which I loved). Junkshow doesn't have the pigmentation issues that Woodstock had. Seriously... did you see the packaging? Some of the shades had severe fallout issues, beyond normal expected fallout. Evidence was the worst of these. The palette is rather slippery... Almost pushed it off my vanity a few times! Some of the shades look like existing shades but they're all supposed to be exclusive. Would I buy it again? Yep. Wouldn't hesitate. I prefer this over the Naked palette because you get those nice everyday neutrals but you also get a variety of other colors instead of all warm brown. Plus, it's just really nice to look at. Urban Decay did a great job on this one. 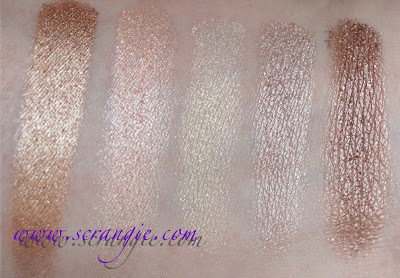 i like this over the naked palette too! beautiful look you did by the way! The colors in that are wonderful. I'd buy it if I wasn't saving up for so many other of their cosmetics lol. This is definitely going on my wishlist! Fab pics, thanks! 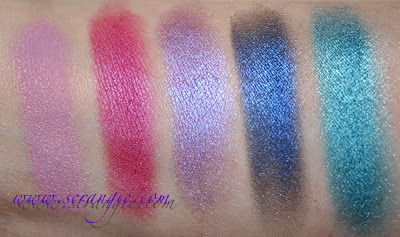 I loe this palette! I bought it for my two daughters, too!! 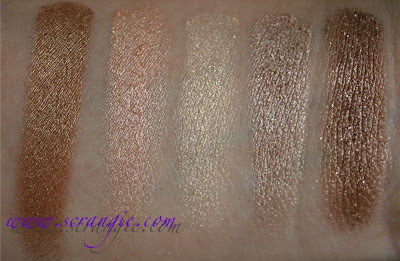 Thanks for the review...I love this palette! 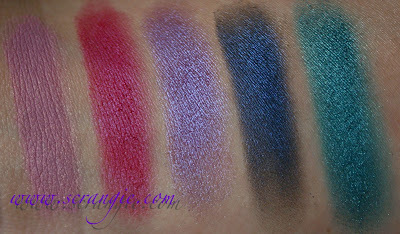 My favorite shade would have to be Omen, but the shades are all so gorgeous! I LOVE this palette!! 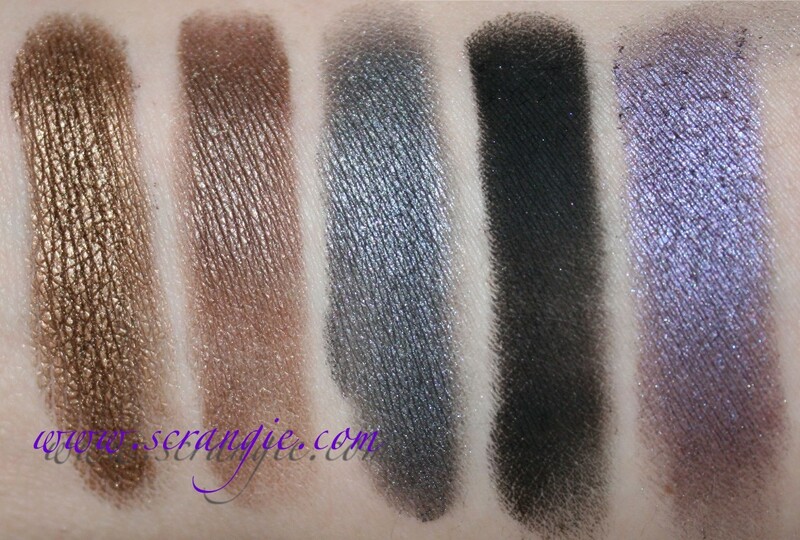 The quality of the shadows are better than any other UD palettes I have. Sure the colors are similar to ones already released, but they are such great quality! Oh, and I was going to say that I love the velvet box, I have it next to my bed and it holds all my at night nail items and chapstick. ugh! I am so torn between this and the naked palette... I don't know what to get! Erhm, the shades that you say aren't as pigmented are some of the most pigmented in my palette, well except for tainted, tainted sheers out & it takes a lot of layers to get the colors out. Other than that, a little went a long way for me with Blackout, Evidence & Deep End, & they're the ones I used the most too. I had a lot of fall out from the neutrals on the first row. Wow... what a beautiful palette!! Gorgeous colors! such a beautiful fall look! Packaging and colors GORGEOUS (and the pictures are very clear, thank you!). It's a shame I don't have UD near my city in Italy! Mine just came in on Friday. I love it, and I think it's UD's most wearable large palette to date! I love this palette! Definitely a new favorite! Thanks for the review! Urban Decay is always the one brand that I get ridiculously excited over and I really REALLY want to get my hands on this gorgeous palette! I ordered this as soon as it came out. Beautiful shadows & packaging. I haven't used it yet. I just keep picking it up and looking at it. This is my favorite palette yet. I've had it for a while and still haven't used all the shades, just cause there's so many to choose from! I think Omen might he my favorite shade to use so far, with Deep End a close second.